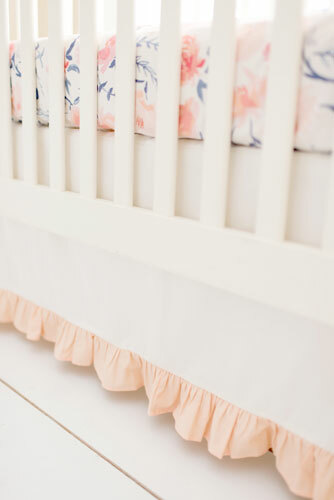 Our Rosewater in Peach Ruffle Crib Skirt is made of Taffeta in Cream fabric, and accented with a ruffled band in solid peach fabric. 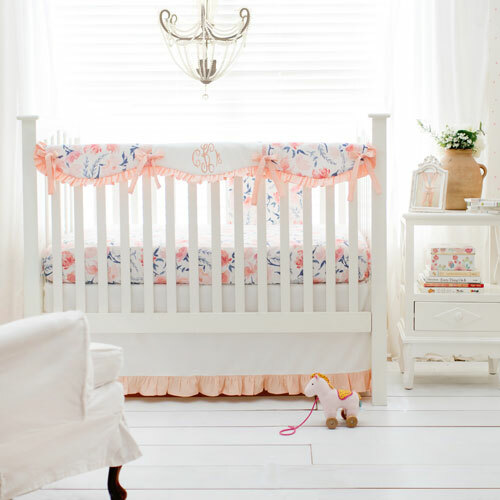 This sweet and simple peach crib skirt will look amazing in any baby girl's nursery! 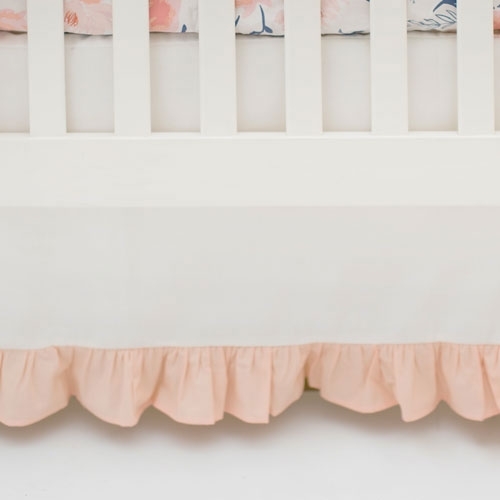 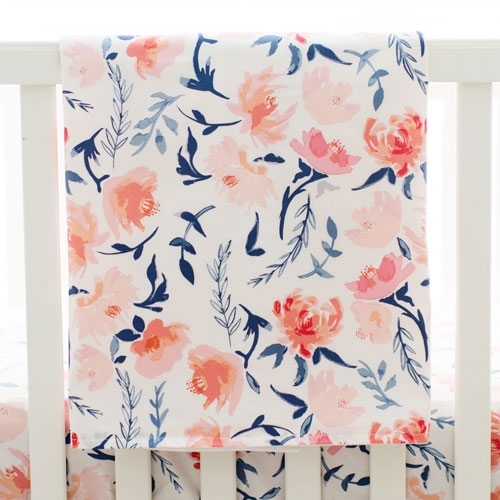 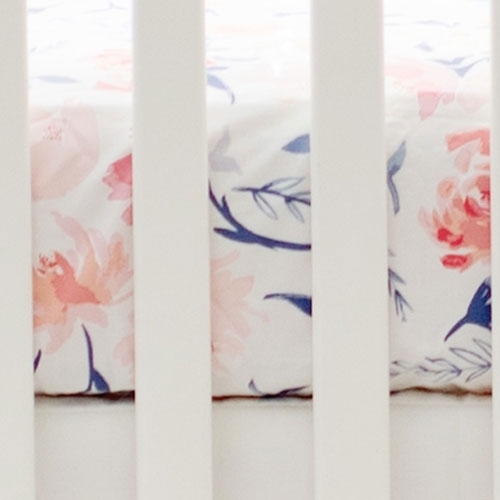 Coordinate this ruffled crib skirt with our Rosewater in Peach Crib Collection and our wide selection of cotton crib sheets.